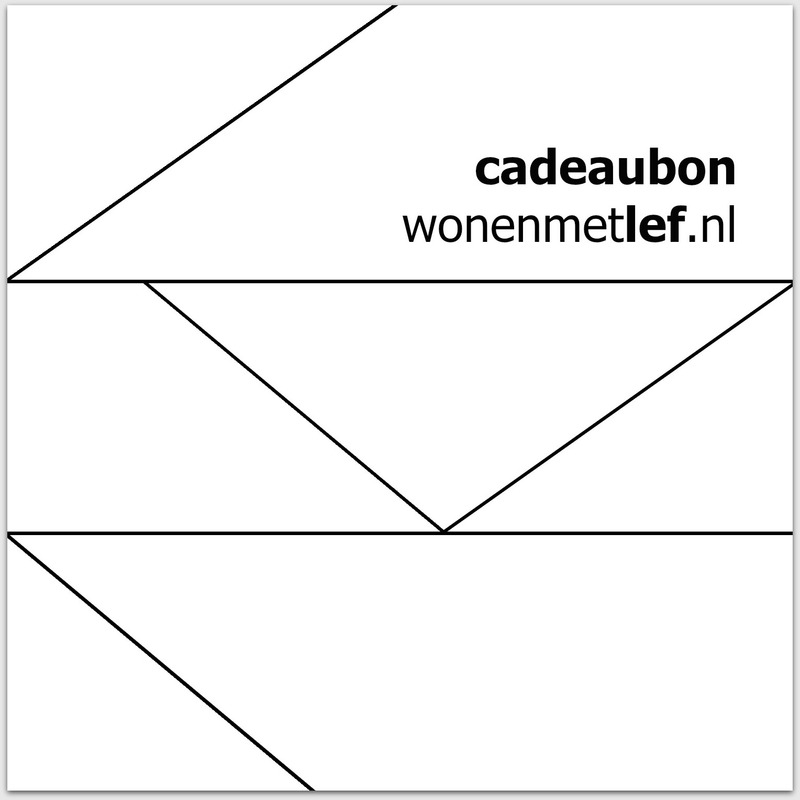 Gift Certificates - Wonen met LEF! You do not know what to give? Dear friend of yours knows exactly what he or she likes ... but not you? SUCCESS ASSURED with a gift of wonenmetlef.nl! The voucher will be sent free of charge. To purchase a gift certificate, please click HERE . It is even more fun a bit if you leave a personal message for the recipient. If you like this, please write down your text in the comment field during the order process. Then it all right! Want it directly to the recipient send the voucher? Make sure your address is the billing address and the delivery address of the recipient. If this is the case, then we add no packing slip. Want the voucher (s) rather itself received, the packing slip is of course included. * It is possible for the recipient to redeem one voucher in the shop. Get your order in one instance, three gift cards, then three codes are created. Have you ordered these coupons for one person to get the desired amount, make a note in the comments field that this is one gift. You will receive one voucher code 1 for the full amount.